At his Crossroads blog, historian Brooks Simpson examines the chronology of the Hampton Roads Conference and the Thirteenth Amendment’s passage in Congress, which are the two events at the center of the film Lincoln. 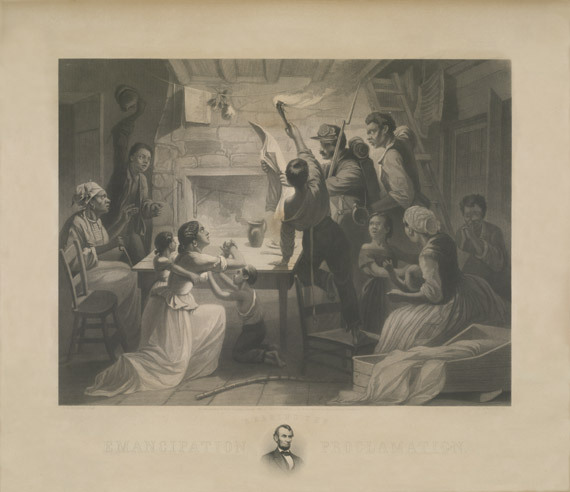 Lincoln’s handwritten draft of the Emancipation Proclamation will be on display to the public at the Library of Congress for six weeks beginning in January 2013. This special limited engagement is part of the LOC’s special Civil War exhibition, which runs through next June. The Kentucky Historical Society has released a new tour for its “Explore KY History” smartphone app. The new tour showcases Kentucky sites associated with Lincoln, allowing you to access maps, photos, and other material to guide you on your own trip through Lincoln’s home state. Two other tours featuring Kentucky’s Civil War and War of 1812 sites are also included. You can download the Explore KY History app for free through iTunes. Not long ago we mentioned an informal poll conducted by The Washington Post, asking readers to name the best biographies of each American president. The results of that survey are in. The volumes selected for Lincoln include recent single-volume treatments by David Herbert Donald and Stephen B. Oates alongside older works by Carl Sandburg and Lord Charnwood, as well as Doris Kearns Goodwin’s bestselling Team of Rivals. Walter Stahr, author of a new biography of William H. Seward, shares his thoughts on Spielberg’s Lincoln at the Wall Street Journal‘s website.